Now that I’ve registered for my very first marathon, I have to deal with actually getting ready for that race so I can not only finish, but finish well. Much like others who have dared to dream of completing a 26.2 mile race, I am filled with a sense of excitement, wonder, and terror all at the same time. Yes, there is that question of “What did I just get myself into?” However, I did spend a few months pondering whether or not I would actually be able to this BEFORE I registered. 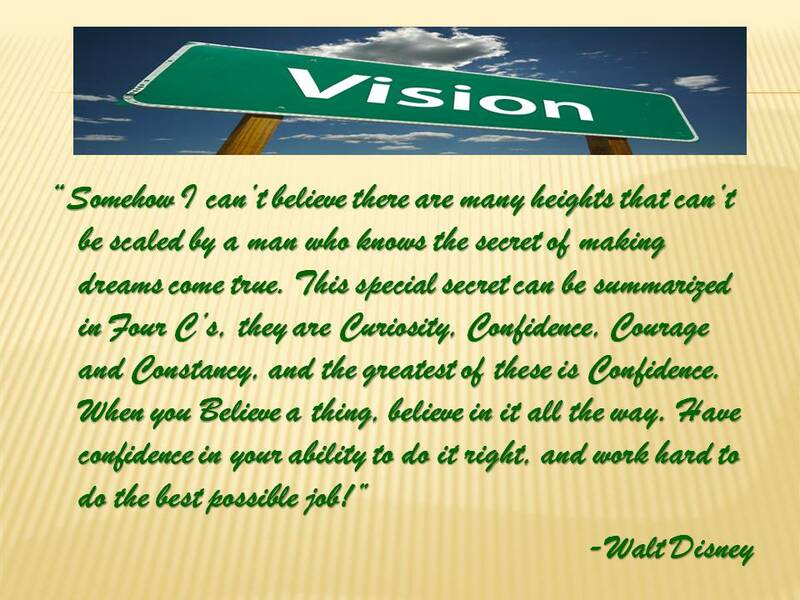 My journey towards 26.2 will be successful if I follow Walt Disney’s Four C’s. One of the things I love about working at the Walt Disney Company is that I work in an environment of dreamers. So, inspiration is everywhere around me. In February, I had the opportunity to see a presentation by Marty Sklar, one of the Imagineering legends, called “Inside the Magic.” In that presentation, he went through “Mickey’s Ten Commandments.” Talk about an awesome presentation. In it, Mr. Sklar talked about Walt’s Four C’s. In a way, the Four C’s have already fueled my journey to 26.2 and will continue to do so until I cross that finish line just outside of EPCOT. Over the next few days, I’ll look at each of the Four C’s individually and talk about how they apply to the journey I officially begin next Tuesday (April 30th). Curiosity – After finishing the Tinker Bell Half Marathon this past January, I felt like a changed person. I felt like this running thing might be kind of cool to pursue. So, I looked for bloggers and others who enjoyed runDisney events as much, or more, than I do. Mission accomplished. As I began to read the stories of those who had completed either the Walt Disney World Marathon, or even more so Goofy’s Race and a Half (Half Marathon and Full Marathon on back to back days), I found myself more curious about what it takes to take that final step in distance racing…the Marathon. That curiosity has led to a dream of attempting to finish one myself. As I go forward, curiosity about training and how to run faster and longer distances will keep me motivated towards finishing 26.2 miles in January 2014. Curiosity about training methods and the tools that marathoners use to help them finish are what I expect to keep me going. What are the best apps to use on my phone? What is the best fuel out there to help keep my energy going during long training runs? Is the training plan I have in place working for me? It is my belief that all of this will keep me going and pursuing the very best I can be as I prepare for to complete 26.2 miles.